Proposed bill strips away environmental rights of NC children and families, while expanding legal protections for poorly managed hog farms. Dangerous changes to state law are lurking in the proposed NC Farm Act. The State Senate added damaging provisions to this bill that would further restrict the rights of our state’s children and families to protect themselves from exposure to noxious conditions around poorly managed NC hog farms. Don't let this be the future of the Tar Heel State. Take action today, and make sure your state representative doesn't fall for the hogwash. 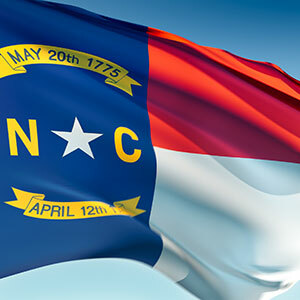 Please Protect NC Families and Children. Fix the Farm Act! I'm writing today with extreme concern over the Senate's version of the NC Farm Act (S711), and to ask you to ensure the House fixes a critical mistake. Please remove Section 10 in the Senate's version of the NC Farm Act. Section 10 doubles down on a broken system by further restricting the rights of our state's children and families to protect themselves and their property from noxious conditions around poorly managed NC hog farms. Please ensure the final NC Farm Act is good for our state's families. Remove Section 10 and send the bill back to the Senate.